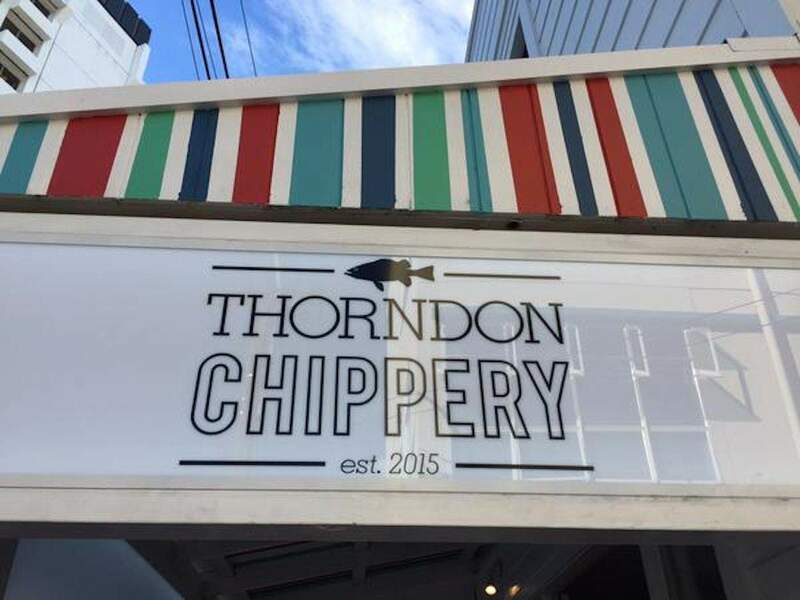 Thorndon Chippery's burgers are good enough to make you forget all about their fish and chips. Beef burger and curly fries. Being new in town, Thorndon Chippery is nowhere near as overwhelmingly busy as its Mt. Vic equivalent, although there was a steady flow of patrons dining in and taking away during the dinner period. The service is extremely efficient, the staff are bubbly. The decor is fresh, the tables are clean, it's all very lovely and Thorndon-like, I suppose. They've got fish, and they've got a lot of it. Ranging from blue warehou ($4.70) to grilled Akaroa salmon ($8) and everything imaginable in between. You can have it beer battered, you can have it panko crumbed, you can have tempura batter, you can have gluten-free batter, you can have your fish grilled, or with a parmesan herb crust. Yeah, there are a lot of options. They've also got chips, and they've got a lot of them. Handcut Agria, crinkle cut, kumara, beer battered, curly fries. Oh, and they've got burgers. The beef burger, with handmade NZ beef pattie, gherkin, cheese, aioli and rocket sauce with crispy lettuce, red onion and tomato ($10), with small curly fries ($4) was good enough to just forget about the fish and chips altogether. Tasty variations of standard fish and chip shop fare are available too, as are salads, which is a nice gesture I suppose, but we all know we're really here for the fries. A great place to stroll to after work in the CBD, close to town but outside the usual Courtney Place-Cuba Street triangle. You can also order online if you're in a rush.